Apple TV 4 has an incredibly popular screen saver (enabled by default) that shows aerial views of different cities and satellite views of geographic regions, which most people already use, but there are other screen saver options you may prefer. Check them out in the Settings app and learn how to get them working on your Apple TV. Where Are the Apple TV Settings? Apple introduces new Aerial screen savers regularly. Each one is a stunningly beautiful image with an immense amount of detail. You may only have room on your Apple TV to store a limited number of them, but you can control how often they are updated. When you choose Aerial as the active screen saver, you can set the Download New Videos frequency to Never, Daily, Weekly, or Monthly. Each new screen saver downloads automatically following the schedule you set. The downloads are up to 650MB each. 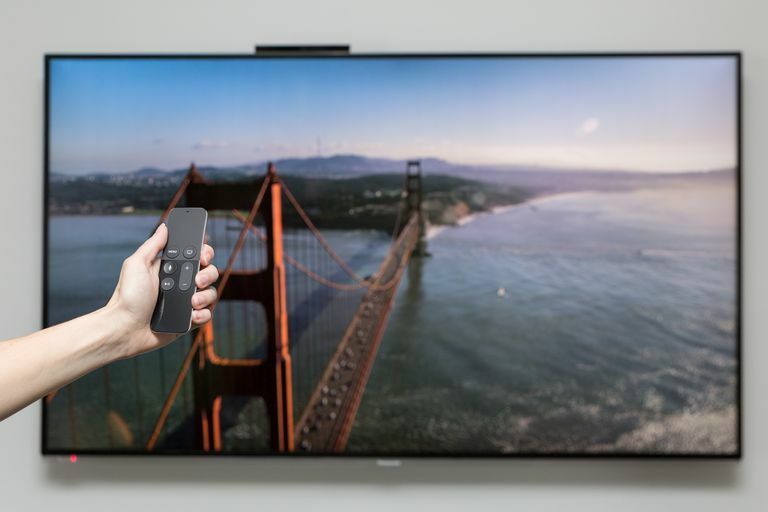 To identify the location of the aerial screen saver currently running on your Apple TV, tap the touch surface of the Siri remote one time while the screen saver is running for a description of the image. The identification appears in the bottom left corner of the screen saver. Apple includes five libraries of professional images you can choose to use as screen savers. The stunning images are available in five categories: Animals, Flowers, Landscapes, Nature, and Shot on iPhone. You can choose to use your own images as screen savers with this choice, but you may have compatibility problems if you have iCloud Photo Library enabled on only some of your Apple devices. These photos don’t work with the screen saver. This option lets you create screen savers from photos and video thumbnails of images shared over your home network using iTunes. You can choose to use the Apple ID of anyone who is connected to your network. This option displays album covers from your music library. Start After: You can choose to launch screen savers after 2, 5, 10, 15, or 30 minutes of inactivity, or not at all. Show During Music & Podcasts: This Yes or No selection controls whether music or a podcast that is playing through your Apple TV is audible after the screen saver kicks in. A Yes means you can play Apple Music tracks to your heart’s content while watching your choice of screen saver on your TV. Preview: Use this to launch your screen saver choice immediately. That’s a lot of choices, but with a compatible image library and transition selected, all you need to do is check Preview to see how well they work together. If you look at your iCloud image libraries using an Apple TV you may have spotted the Set as Screen Saver option at top right of the image window. If you really like a collection, just tap that button, and it becomes your screen saver until next time you change it.